I’ve been getting a lot of questions about Korean Dramas after I discussed them in a post last week called Ugh, Pickled Radish; Or, Why You Should Be Watching KDramas. Of course I was thrilled at the interest, and I convinced half a dozen people to begin watching them – but I’ve been receiving questions asking me to go more in-depth about my reasons. First, let me explain you a thing: I rarely stay interested in American television shows. Nearly every TV show that I begin, I fade out of, no matter how much I love it. The plot gets repetitive, the characters shrink from three-dimensional to one-dimensional, I get bored and I stop learning things from it. It’s why I faded out of shows like The Walking Dead and Once Upon a Time – because no matter how much I love specific characters (Daryl or Pan or Rumple, for instance) one character who has ten minutes of each episode (if that) is not enough to make me watch the other half hour of nothing. So, without further ado, let me give you some more reasons, O Ye of Little Faith. • Pretty people. We’re talking seriously pretty people. I love depth in a story, but pretty people sure do help and boy howdy, have Korean Dramas filled this bill. • The humor is rarely potty or slapstick. It’s actual humor, and it’s actually funny. It stems from ridiculous situations, dry sarcasm, or people simply being flabbergasted at their surroundings. The humor is much more like real-life. • Fight sequences. 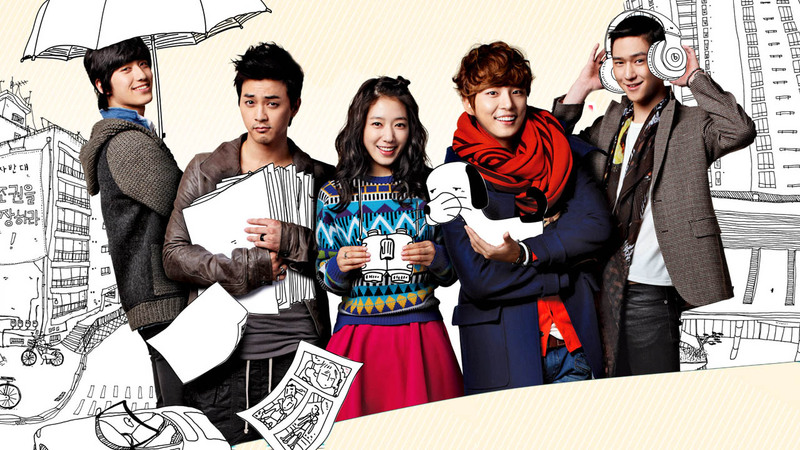 Even school dramas like Boys Over Flowers have fights, and a lot of them. You never get bored, because there are spiteful, vindictive people around every corner threatening the happiness of the people you love, and fists – and feet, and motorcycles, and cars – fly. • They twist plots like taffy. In American television, if a show gives me one good plot twist, I’m like ‘Wow! Look at that! Good for you, American TV! You did a plot twist!’ With KDramas, almost everything is a plot twist. You literally have no idea what’s going to happen. • The stories are just outrageous enough to keep you entertained, and just realistic enough to keep you connected. Seriously – you may never dress up as your brother and fall in love with your boss, but you can relate to the personal struggle of wanting someone you can’t have, or of trying to protect someone you care about. • Perfect hair. I mean, just – perfect hair. And fashion that makes you either wonder WHAT that person was thinking when they got dressed, or makes you wish you had their entire wardrobe. • KDramas aren’t afraid to crush your emotions. Basically, the KDrama formula is: give you characters that you are immediately attached to, and then you watch as they suffer. And suffer. And have a brief moment of happiness – and then suffer again. American television tends to be ‘safe’ (not always, but frequently) when it comes to this – they’ll kill off that one minor character nobody really cared about, but HAVE THE MAIN CHARACTER GET HIT BY A CAR? HAVE THE DRIVER OF THAT CAR BE THEIR BEST FRIEND WITH WHOM THEY’D ARGUED AN HOUR AGO? HAVE THAT BEST FRIEND BE DRIVING TO APOLOGIZE? AND /LEAVE IT THERE UNTIL NEXT WEEK/??? Yeah, they’ll do that. And they like it. • If you find yourself scared to start a TV show because of the sheer amount of episodes, then KDramas are for you. Why? Because the full run of a normal KDrama is about 24 hour-long episodes, and that’s it. ‘Seasons’ are rare. 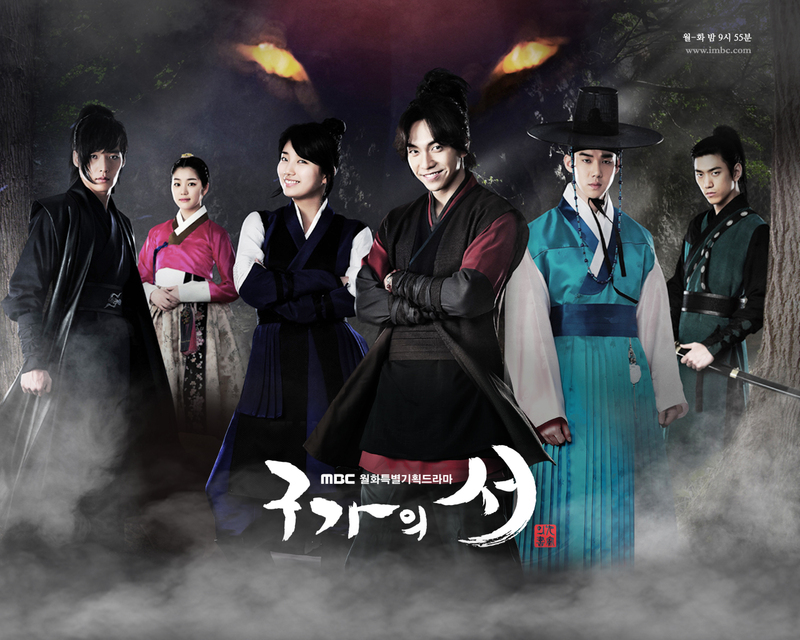 • Are you worried that you won’t be able to pay attention to the subbing and watch the drama at the same time? Never fear – I had the same worry. It’s a groove you have to get into, but it doesn’t take long at all and now it’s like second nature to me. Lastly, I'd like to address a few complaints that crop up a lot. 1. 'They all look the same.' I thought that when I first began watching KDramas and listening to KPop, too, but hey, guess what? They think we all look the same, too. Give it a little time and soon you'll find yourself wondering how on earth you ever thought Lee Min Ho looked like No Min Woo. 2. 'He looks so girly.' I'm not even going to bother explaining physical appearances. Forget what they look like - I've seen numerous KDrama characters who wear pastel pants and V-neck tee shirts and are eighteen times manlier than the grungiest dude on American television. Get over how they look and start caring more about their personality. I would drop a mic, but I think I'd have a technician come after me. If you still have questions, go ahead and ask them in the comments – seriously, give me an excuse and I could talk about this all day. I'm so totally going to share this on FB - it's 100% on point :) Thanks! !